At the conclusion of the highly-anticipated CSK versus RCB contest, David Lloyd got it absolutely right when he said that MS Dhoni has done it so many times for his team and he did it again here today. The only thing that matters- when Dhoni is out in the middle- is that how cold-bloodedly does he eliminate his opponents. Without a whisker of regret, without actually breaking into sweat. Cool as a cucumber they call him; but he is an assassin holding the bat sans a regret. In a contest where we saw pretty much everything expected from a clash among titans- De Villiers’ 68 runs at a staggering strike rate of 236, Ambati Rayudu yet again clawing in with an impressive 82 off 53 including 8 sixes, some impressive wrist spin by Chahal and once again MS Dhoni dominating the proceedings, you’ve got to feel for Bangalore. It’s not everyday that an IPL team happens to lose a contest when putting something in excess of 200 on the board, is it? 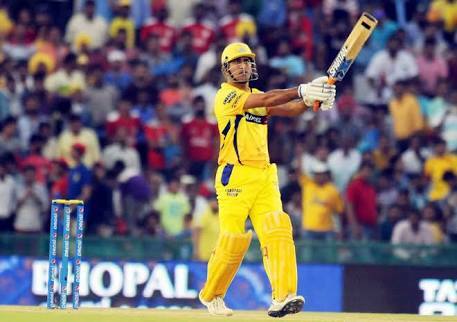 But then, not everyday the chasers happen to bat with the elan as Dhoni’s CSK provided to a stunned gathering of thousands at the Chinnaswamy in Bangalore as the tourists clinched victory by 5 wickets. But importantly the final skirmish- before RCB stamped their authority like a school bully taming a newcomer in posting a massive 205 at the back of yet another De Villiers’ special- happened in the final six balls. So when MS Dhoni took the high-octane run chase on RCB’s home soil into the final over and made the thrilling outcome reach the crescendo- with Chennai requiring 16 off the final 6- there were nerves and in both dugouts. The supporters of CSK decked in the golden yellows with hands folded looking skywards with the scorecard hinting at a possibility, even if prior to the start of Corey Anderson’s 20th over- it seemed an outside chance. Then, the decisive blow that ruptured Bangalore’s heart- that massive six over mid-on off the fourth ball of the final innings in CSK’s successful run chase- and Dhoni was the name reverberating in Virat Kohli-land. You could see it in the face of the ‘gold-drenched’ spectators including the familiar Dhoni fan, soaked head to toe in pure admiration for captain cool. You could see in the numb eyes of the CSK women- including Mrs Dhoni and her gang whose contentment at seeing Mahi lift the team over the ropes echoed the perfect reception of the victory. But here’s what RCB need to be concerned about quite like the Mumbai Indians. While under no circumstance can a player like MS Dhoni be taken lightly particularly in a format that suits his skills: no-holds barred brand of cricket, there’s the dubious quality of death bowling that they need to guard against. If there was any such thing as a tactical blunder, then you ought to attribute it to Kohli’s decision to have a rusty, out of sorts Corey Anderson bowl the all-important final over. Not that Dhoni had been on the strike at the start of the first of the final six balls but to bowl fuller and outside off to someone like a Dwayne Bravo was always calling for some danger. Not that the second ball of the over was any different either. In collecting a four- although aided by luck with the ball pecking the outside edge of Bravo’s bat- and the next one deposited over mid-off for a huge six, the margin of 16 off 6 had been reduced to 6 off 4. Then a single and then, the mighty mauling by Dhoni. This effectively brought curtains to another magnanimous effort by the man in form for RCB- De Villiers who reached his third fifty of IPL 2018. Maybe, someone like a Chahal could’ve been utilised in the final over, especially when he had been instrumental in removing CSK’s middle-order claiming the prized wicket of big-hitting Billings as Jadeja and Raina too fell cheaply. PreviousIPL 2018: What Next For Gautam Gambhir And Delhi Daredevils?